In addition to the exciting new range of games in our Voyager Catalogue, IG also carry a wide range of second hand / refurbished gaming machines with a large range of popular games. If we don’t currently have the machine you are searching for let us know and we will source it from our industry network. 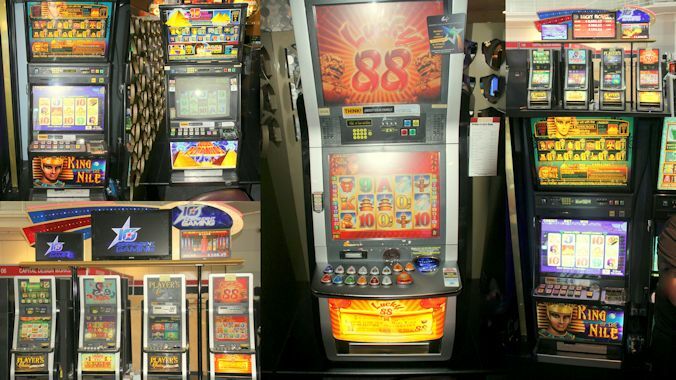 For a current list of available cabinets and games please call us on (02) 8858 1000. There is no better way to revitalise one of your existing favourite machines than with a 22” Wide Screen Monitor. Brightness is consistent for the life of the product. Available in limited MK6 games in the Xceed and Xtra cabinets. Environmentally friendly – uses 80% less energy than other monitors. Now available in 24 inch for Vegas Star Machines. For more details contact the office on (02) 8858 1000 or your Account Manager.